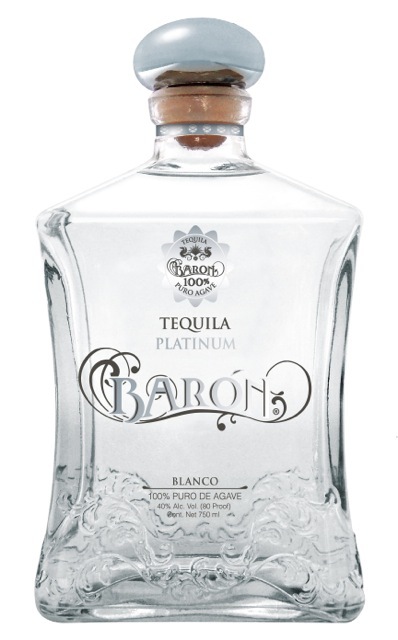 Mike and Alex were so impressed with Baron that they nominated it for the 2014 Tequila Aficionado Brands of Promise Awards in both the Blanco and Packaging categories. THE NEWEST PREMIUM TEQUILA ON THE MARKET! Baron Tequila is a new, ultra-premium tequila handcrafted in Tequila, Jalisco, Mexico and certified gluten free and kosher. We embarked on a two-year tequila fact-finding mission to create the category’s next premier product. At Baron, family is very important to us so to carry out our vision, we partnered with the family-owned and operated Ansan Distillery, where 20-years of experience oversees each step of the tequila making process – from growing and harvesting the agave to the triple distillation and bottling. We have spared no expense or amount of time to make Baron Tequila the epitome of quality spirits. We look forward to you joining the Baron family as you experience our product and share our love of premium tequila! Baron has achieved a uniquely, clean smooth taste through a natural process maximizing the power of the agave itself. After 10 years of growth, only the best parts are harvested for production and then slow cooked at a low heat allowing for all of the sugars to caramelize. Hand-guided pot-still distillation cooks off all of the impurities leaving only the “heart” (the best part). Baron is then distilled three times. Not once, not twice, but three times resulting in an extract that gets cleaner and cleaner ultimately achieving a zero-zero taste profile; eliminating any bad odor and bitter taste. Unlike larger industrial producers, Baron is able to achieve a pure taste without the use of glycerin or other additives. And to make sure our product is consistent, a panel of three tasting experts samples each batch to confirm it matches the original. Quality and consistency are of the utmost importance. All of our bottles are also made on site by glassblowing artisans with decades of bottle-making experience. Ansan’s glassblowers first select the best quality glass possible and then engage in what they call a “four-touch” process guiding the glass into shape utilizing both human touch and sophisticated machinery to mold the ornate design directly into the glass itself. The 750ml bottle features decorative floral embellishments wrapping around the bottom and sides of the bottle, while the top boasts an engraved version of the Baron logo featuring two dragons flanking an agave plant. In Spanish, Baron refers to a magnate or mogul, a nobleman in some cases; a higher power. The project to create Baron began during the year of the dragon, considered by the Chinese to be the luckiest. In fact, many Eastern cultures associate dragons with wisdom and outstanding people. We immediately felt a connection and synergy between the symbolism of the dragon and the name of Baron. Why dragons on the @BaronTequila logo? Created in the year of the Dragon. Are You Watching the Mad Men Premiere Tonight?